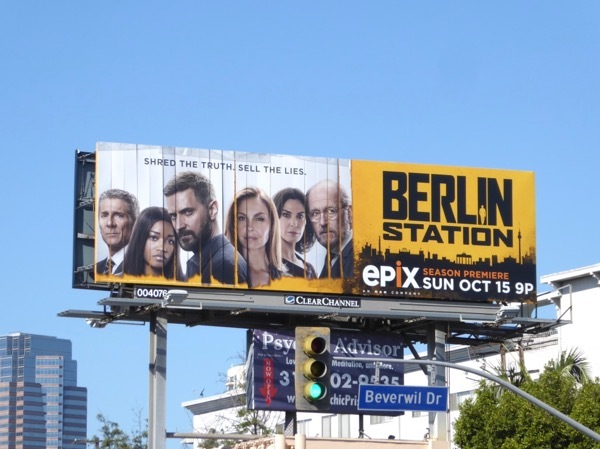 Before adapting Get Shorty for the small screen this summer, Epix kicked off its scripted television fare with political comedy, Graves, and espionage thriller Berlin Station last October. 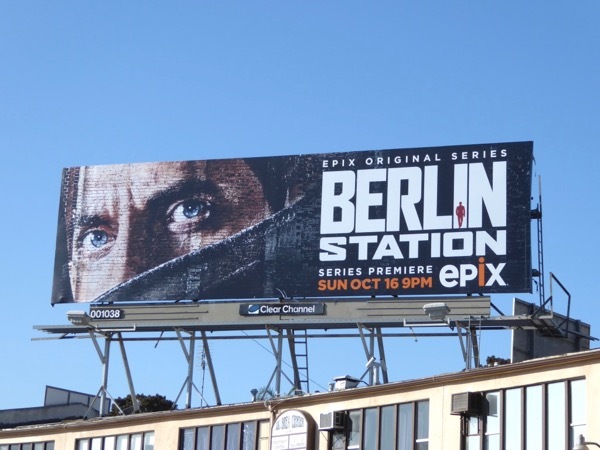 In the first season Richard Armitage's CIA agent 'Daniel Miller' was tasked with clandestinely finding out who was leaking information to a whistleblower at the German foreign station guided by veteran case officer 'Hector DeJean' (Rhys Ifans). 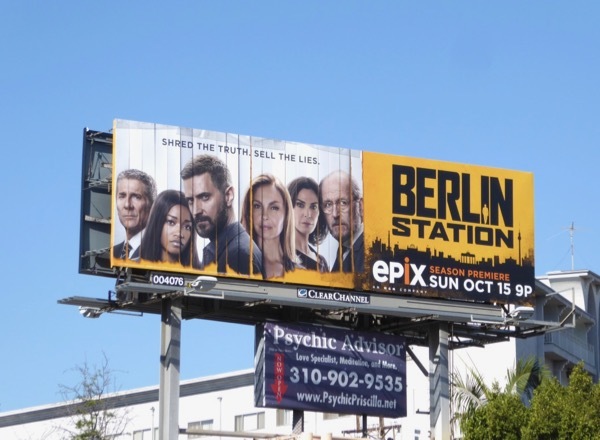 This October the drama's sophomore season sees the arrival of new head of the Berlin Station, played by Ashley Judd and Keke Palmer's young case officer fresh out of Langley and on her first field assignment join Armitage, Leland Orser, Michelle Forbes and Richard Jenkins, as the far-right stirs up trouble in Europe. 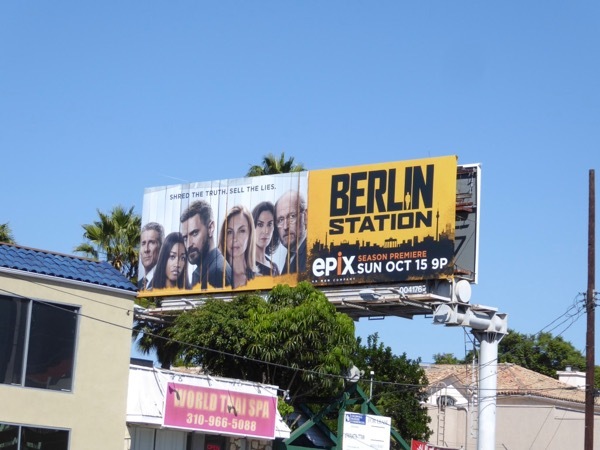 These season two billboards were photographed along Pico Boulevard and Olympic Boulevard from October 7 to October 15, 2017, whilst the season one billboard was snapped along La Brea Avenue on October 1, 2016. 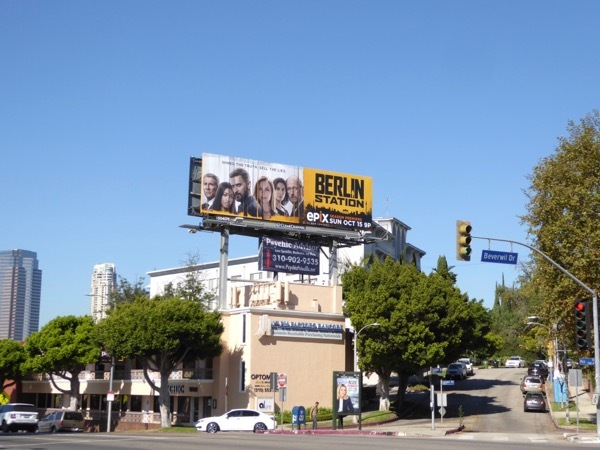 This 'For your consideration' billboard was also spied along Sunset Boulevard on November 18, 2016, although the show didn't score any nominations during awards season. 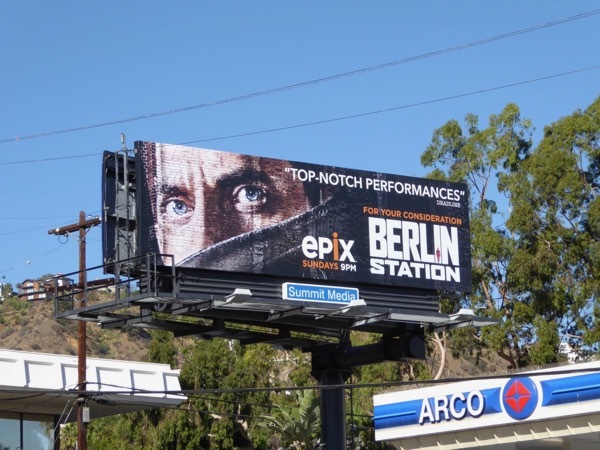 Meanwhile fans of Richard Armitage can also enjoy these movie billboards for The Hobbit Trilogy. Turbulent times call for desperate measures, so let's see what dangers, dark secrets and moral dilemmas awaits this overseas team in their second season.